I have two very active children. When school is out, I know they are headed outside to play as long as the sun shines. With this much activity, I know that a few scrapes, cuts and plain old ouchies are going to be an almost everyday occurrence. 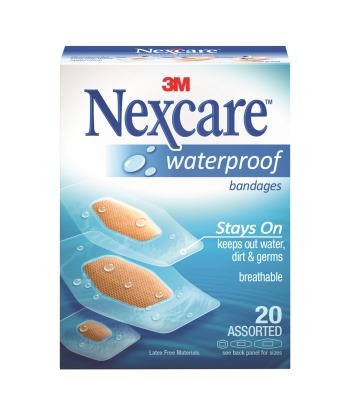 While checking out the first aid aisle for supplies I ran across Nexcare Waterproof Bandages. They are also super simple to apply/adhere with just one hand. Just what a mom is looking for! Nexcare Bandages even put their bandages to the test with their resident “Nana” in a “Will It or Won’t It” Campaign. Nexcare Nana demonstrates the strength and superior performance of Nexcare Waterproof Bandages and show just how tough they are through a series of three incredible videos. Nexcare Nana goes to extreme lengths to prove that Nexcare Waterproof Bandages have staying power in these extreme dramatizations. Nana conducts intense product tests that put her, and Nexcare Waterproof Bandages, up against their biggest opponents – water, dirt and germs. In this first encounter Nana goes head-to-head with a high-pressure fire hose. In the above video dramatization Nana goes head to head with a dirt filled dump truck to test the strength and toughness of Nexcare Waterproof Bandages. Finally Nana takes a Dumpster Dive to prove that Nexcare Bandages stay on because the 360-degree seal provides a protective barrier to keep out water, dirt and germs, making them everyday-life proof. Head to nexcare.com/nana to view the entire series of Nexcare Nana Videos. You can also nominate someone special in your life that is as daring and tough as Nexcare Nana in the Tough-as-Nana Sweepstakes, for a chance to win one of three trips including swimming with sharks, skydiving or a race car driving experience! What kind of boo-boos await you this summer? My daughter rows on the crew team and we go through A LOT of bandages (her hands are usually a mess!). I love that these really keep everything out because we don’t want her blisters exposed to the river water, dirt, etc. Thanks for sharing! We really like Nexcare bandaids because they really stay on when needed. We hope to not have any cuts or bruises, but I am thinking that riding the bike might cause a scrape. I’m not sure if these will stay on in a swimming pool? That’s where I am 3 times a week. We go through a lot of band aids during the summer. I have not tried this brand before. With as clumsy as my grandson is I’m going to have to try these. 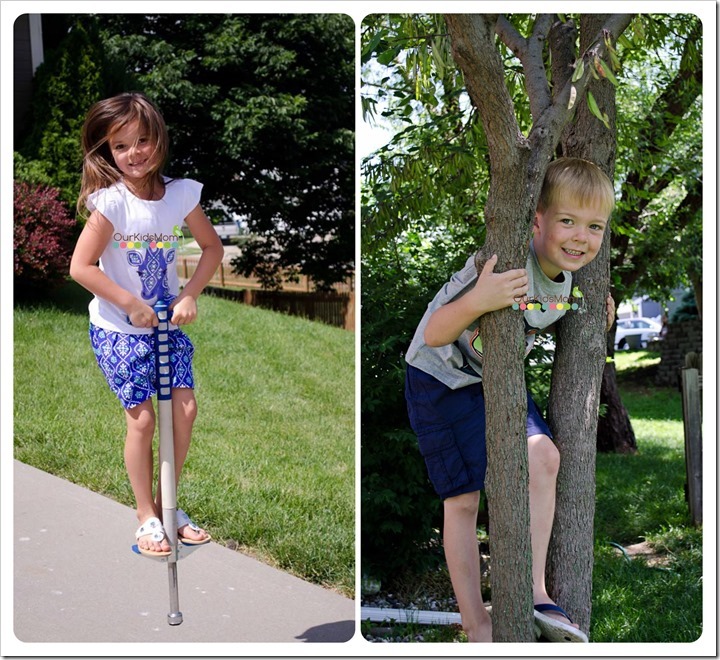 My kids love to play outside, and they can find ways to scrap themselves up. I have seen these bandages in stores but never tried them, my kids always want the bandages with characers on them. Wonder how these would hold on on my kids, especially in the water. 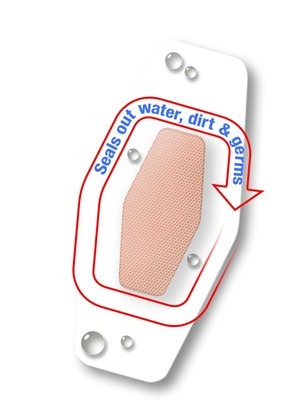 It is so hard to find a waterproof bandaid that actually works. I love Nexcare and have found they work great in water. Around here, it’s just the usual cuts and scrapes that are part of being outdoors. I’ll keep an eye out for these waterproof bandages. I like NexCare products, and this looks like another good one. Thanks for the heads-up. We go through lots of bandaids all the time because of my two grandsons. They constantly get cuts or scrapes just from being crazy boys. I’m sure we could use these waterproof ones when we go on vacation to the beach in a few weeks!